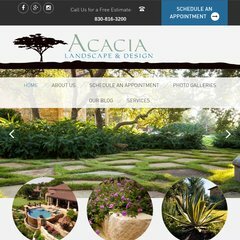 Topics: Services, Landscape Design, Landscape Installation, Irrigation Systems, Commercial, and Schedule An Appointment. There are 2 Nameservers, ns21.domaincontrol.com, and ns22.domaincontrol.com. It is hosted by Godaddy.com Inc (Arizona, Scottsdale,) using Apache web server. Its IP Number is 184.168.233.1. PING (184.168.233.1) 56(84) bytes of data.